In my life in France I have found all sorts of ways of being that didn’t happen much before, chief among them, hands on gardening and researching the intrigues and fascinations of early medieval European history. 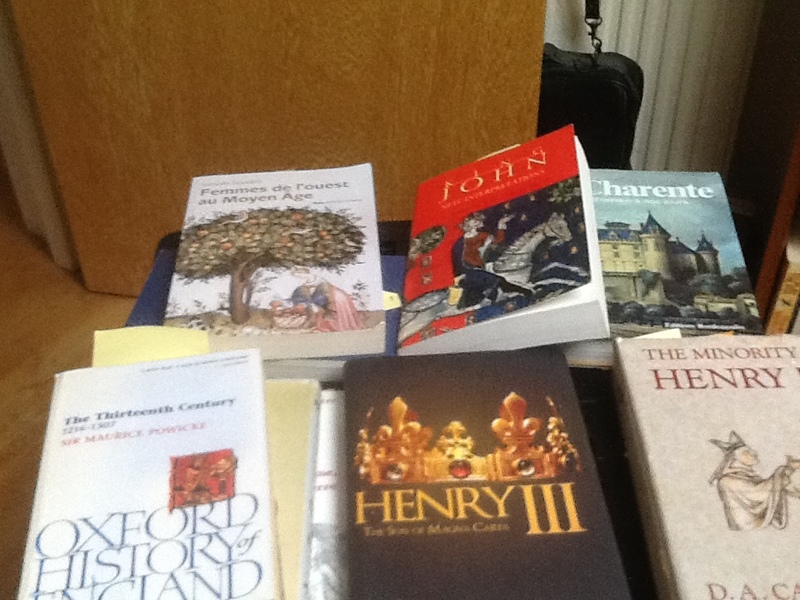 And now I am a writer about that time, especially the 13th century. I became president of An Aquitaine Historical Society some years ago, asked to be that role after I had been to one meeting. I think I have a spurious air of knowing what I am doing and they needed someone to take over at short notice. But it proved a really interesting society with lively members and for about 10 years there was a Winter Study Group where the anoraks amongst us studied history in more depth. And that was where I met Isabella. We were researching the history of Normandy and when it came to the time when Bad King John lost Normandy in 1204 I read a footnote about his second wife, Isabella of Angoulême. And Angoulême is just 40 minutes away, so she was a local girl. 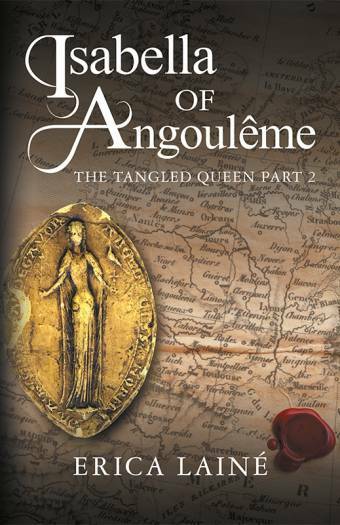 ‘Few women were in a position to play as important a role in the politics of both and England and France in the thirteenth century as the Poitevin countess, Isabelle of Angoulême… that really set me on my track. 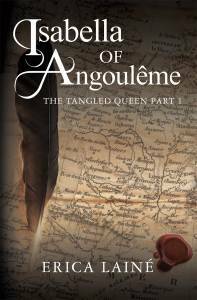 First of all I gave a presentation to AAHS about her, all the scandal, twelve years old when John kidnapped her from her fiancé, Hugh Lusignan, a powerful lord whose family seat was also close by, the town of Lusignan, near Poiters. 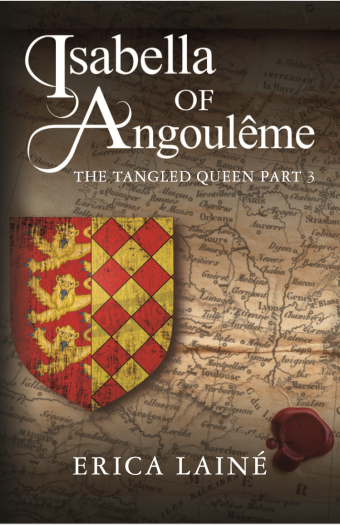 Then the repercussions began with that family asking their king, Philippe Augustus for help and he in turn used the whole marriage and its aftermath as a trigger in his determination to drive the Anglo-Angevin king out of France. Later these kings were known as the Plantagenets. And so I began, disappearing down the rabbit hole of research, trying to work out a sequence, deciding I could only write a linear chronology or my head would burst. Not having a clue about how long a chapter should be, how long a book should be, checking to see who else had written about Isabella in fiction. Not many. She is a main character in two or three books, Jean Plaidy wrote about her in The Battle of the Queens and then there is Rachel Bard’s Queen without a Conscience. I read a very curious reimagining of her life by Lisa Hilton in The Stolen Queen. 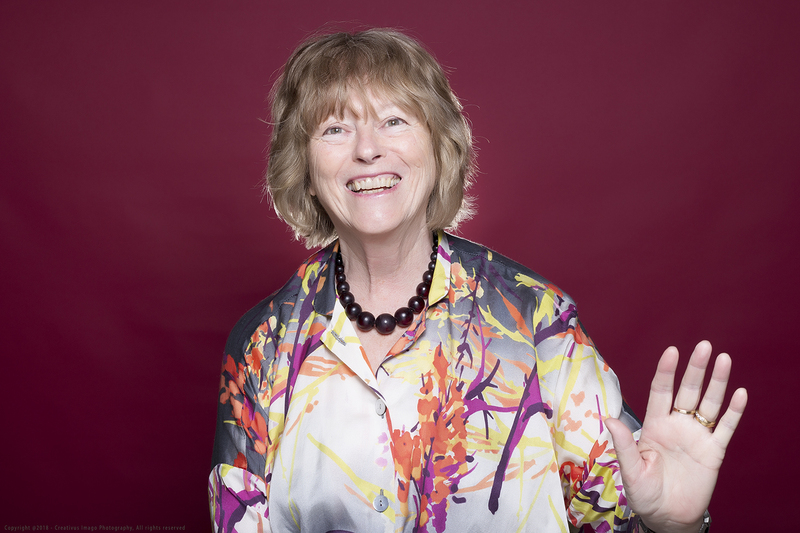 In Sharon Penman’s Here be Dragons she has a strong presence but is not the lead person and none of these were the Isabella I wanted to write about, or create. I wanted to think hard about her life and how her marriage to John would have changed her. She was always known to be proud and wilful, and with him as her husband that wasn’t tempered very much. But we do know she was denied her proper place as queen consort. 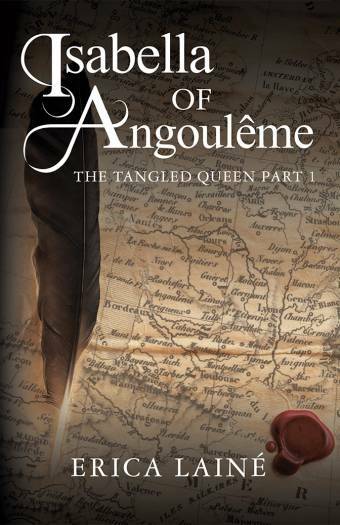 So the years rolled by and in 1215 Isabella of Angoulême: The Tangled Queen Part 1 was published by Silverwood, and I had become an independent author or an ‘indie’. Then on and on I went, writing and writing more about her. But now with good advice from others who wrote historical fiction and a better idea of how a book should be. But this time the manuscript was huge and so the trilogy was born. 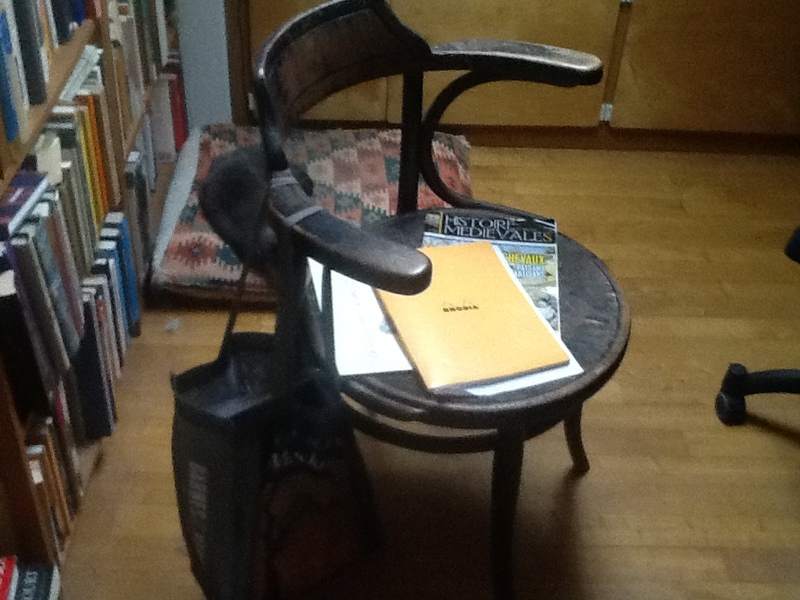 1218 saw the publication of Part 2 with her seal on the cover. Or rather her matrix as the seal is the wax impression. The gold matrix is in the archives in Angoulême a tangible connection with Isabella, Queen of England from 1200-1216. Erica Lainé has been an actress, a beauty consultant, a box office manager for an arts festival, a domiciliary librarian, a reader liaison officer, a speech and drama teacher, a writer of TEFL textbooks for Chinese primary schools, and an educational project manager for the British Council in Hong Kong. She was awarded an MBE for her work there. Hello there! I am author of Isabella of Angoulême. 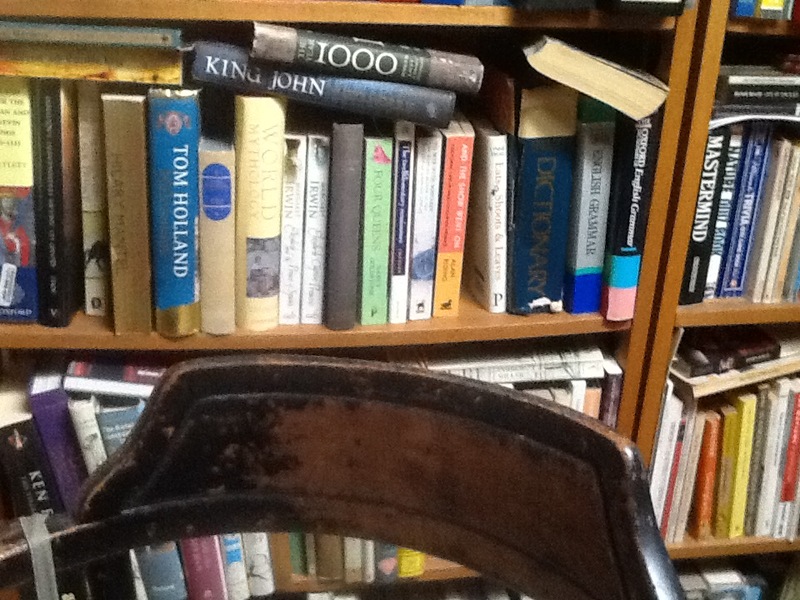 Originally from Southampton but settled in South West France with husband, cat and dog and my lifetime collection of books. Erica Laine © 2018. All rights reserved.